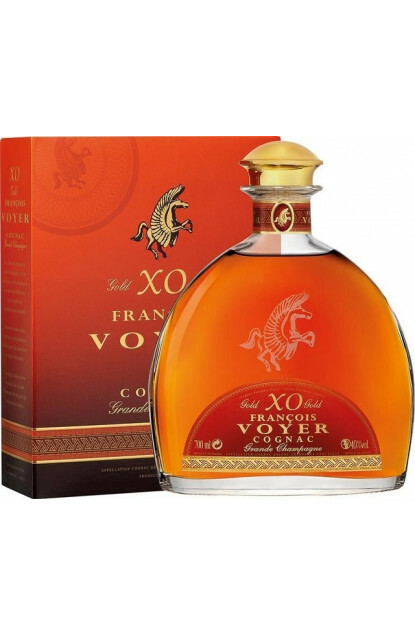 This Cognac is exclusively from Grande Champagne Premier Cru. It is a blend of spirits from 20 to 30 years old, that aged in new Limousin oak barrels for three years, then in older barrels. The colour is amber with red mahogany hues. To the nose, fragrances of dried fruits (nuts and hazelnuts) and spices. Great shades of vanilla. A balance between fruits and wood. To the palate, we find the nose’s fruits combined with supple and powerful vanilla woods, in a great smoothness. Would be perfect with dessert, on a chocolate cake or as a digestive with a cigar of your choice.